Are you looking for a reputable Independent Ford garage located in Claremont, Montclair, Upland, or the surrounding communities because you aren't satisfied with your Ford dealer, current independent, or you've recently relocated? 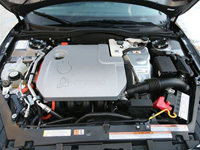 Ford, Lincoln, and Mercury maintenance is very important for the life of your car. Orr Automotive can maintain your car as per recommended by Ford, Lincoln, and Mercury so that your vehicle has the best possible chance of lasting a long, long time. When you take care of your car, your car will take care of you. Orr Automotive handles all types of repairs for these Ford, Lincoln and Mercury. 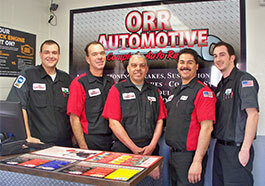 Orr Automotive is a full service garage in business since the 1980′s. We provide major service, timing belts, brakes, air conditioning, tune ups, shocks and struts, and much more! Considering the thinning-out of the big, over-priced dealerships that couldn't survive in these economic times, are you aware that you don't have to go back to the Ford dealer? Orr Automotive can perform your almost all of your Ford's maintenance except certain factory recalls! Orr Automotive for your Ford Repairs. Here is a short list of what we can do for your Ford car or truck. Our goal is to provide you with the best auto repair (car repair) in the San Bernardino County. A great Ford, Lincoln, and Mercury mechanic is hard to find. We have well qualified technicians and equipment to work on your car. 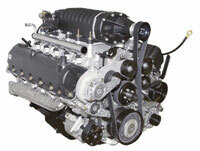 We use quality parts to go with our service to keep your car running at its best. Our work is just as good as the Ford, Lincoln & Mercury Dealer's but for less money and more personal service! At Orr Automotive, are goal is to fix your car right and get you back behind the wheel so you can enjoy your vehicle.